Republican presidential hopeful Ted Cruz is seeking political traction in New Hampshire by promising deeply conservative voters he will defend gun rights. 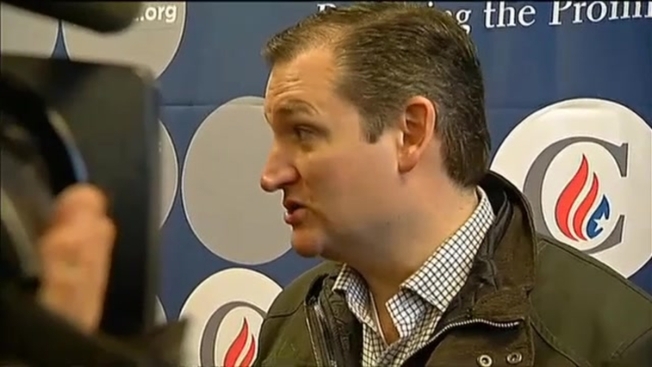 Cruz is in the state Tuesday and will return next week for a five-day bus tour. Throughout, he's invoking the state's "live free or die" motto as he tells voters he's the candidate most likely to defend gun rights. It's the Texas senator's his first trip to New Hampshire since November. The state tends to favor more moderate Republicans, making it difficult for a candidate like Cruz to gain a foothold here. But as Donald Trump maintains a large lead here, a candidate could finish second or third by winning over a relatively small segment of the state's Republicans.